February 19th 1931: Ordered at a cost of £164,247. June 23rd 1931: Keel struck. January 14th 1932: Sea trials. January 22nd 1932: Left for Southampton. January 25th 1932: Delivered to Southern Railways, London, England. She was built with experimental semi-Maierform bow. 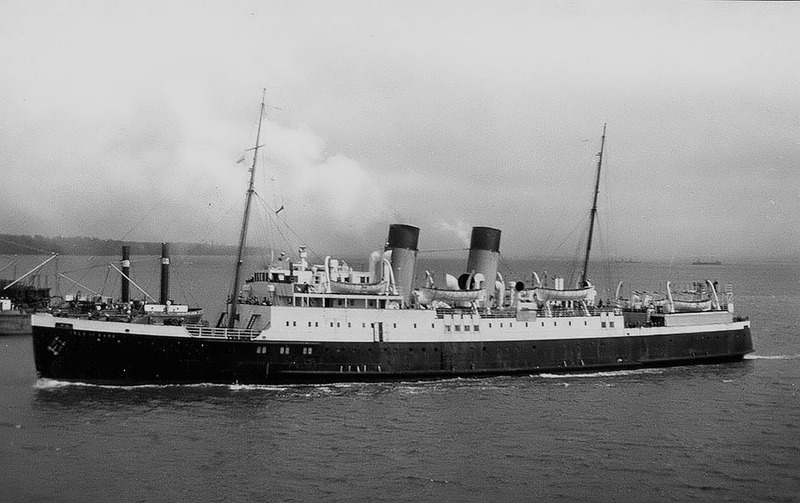 March 19th 1932: Commenced service between Southampton – Channel Islands. July 16th 1935: Took part in a fleet parade for King George VI. 1936: First vessel to have a set of Denny-Brown fin stabilisers installed. March 31st 1936: She ran trials with the new stabilisers. 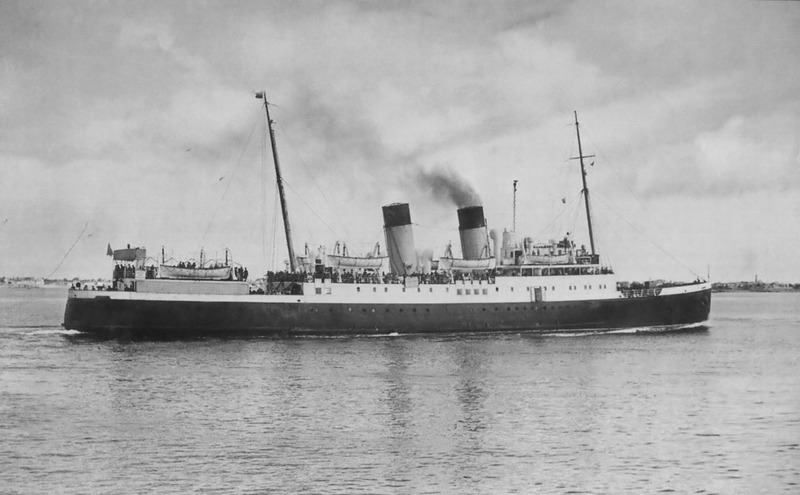 May 27th 1936: Chartered for a single trip to Cherbourg. September 17th 1936: During a demonstration for potential customers, in Southampton Water, the ship was made to roll 20 degrees on a flat calm sea. 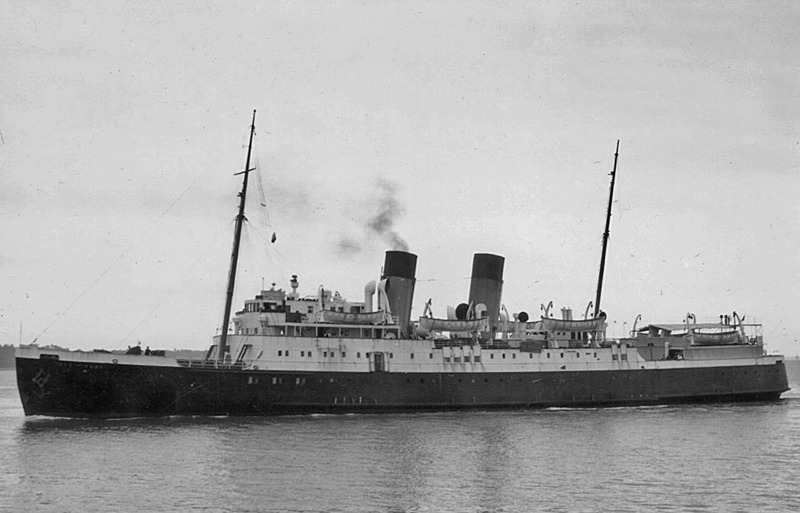 June 27th 1940 – June 28th 1940: Last peacetime sailing from the islands. Thereafter German troops occupied the Channel Islands. February 3rd 1941 – March 1941: Chartered to Great Western Railway. Commenced relief service between Fishguard – Rosslare. March 5th 1941: Ended relief duties. 1941: Laid-up at in River Torridge at Bideford, Devon. Afloat only at spring high tides. 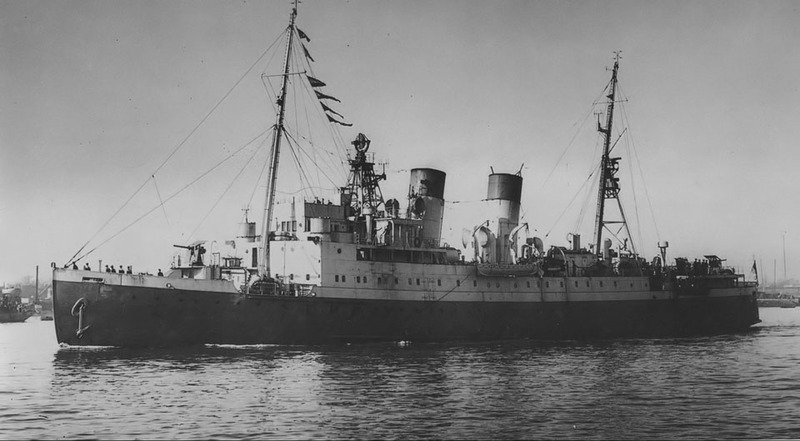 December 1941: Requisitioned for war service and converted to a radar training vessel (RDF), the equipment for which required the ventilators in front of the forward funnel to be raised in height and they remained like this even after her re-conversion. 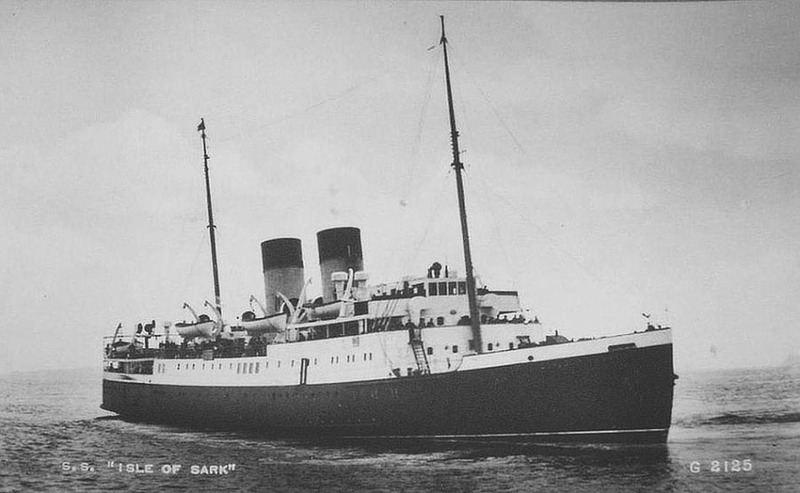 January 2nd 1942: Sailed to Avonmouth. 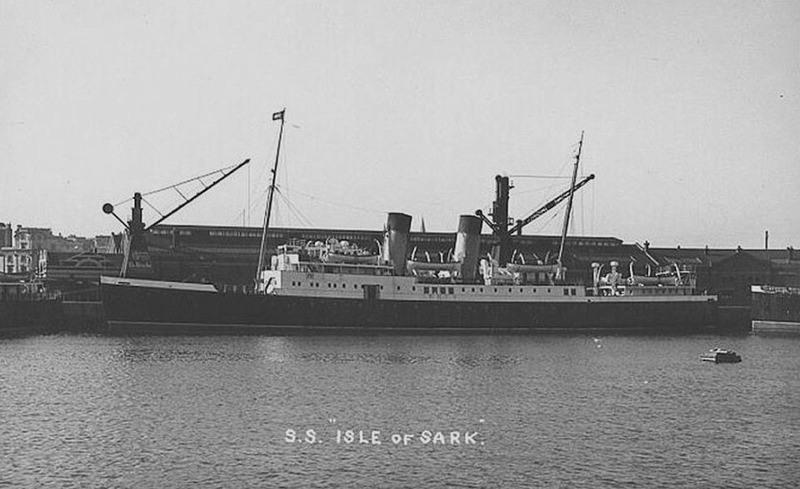 August 16th 1942: Part way through her fitting out she was transferred to Penarth and commissioned as HMS ISLE OF SARK. August 17th 1942: Left Penarth as part of the Radar Training Flotilla. December 1942: At Lamish, Isle of Arran at the start of 15 months in the Clyde area. 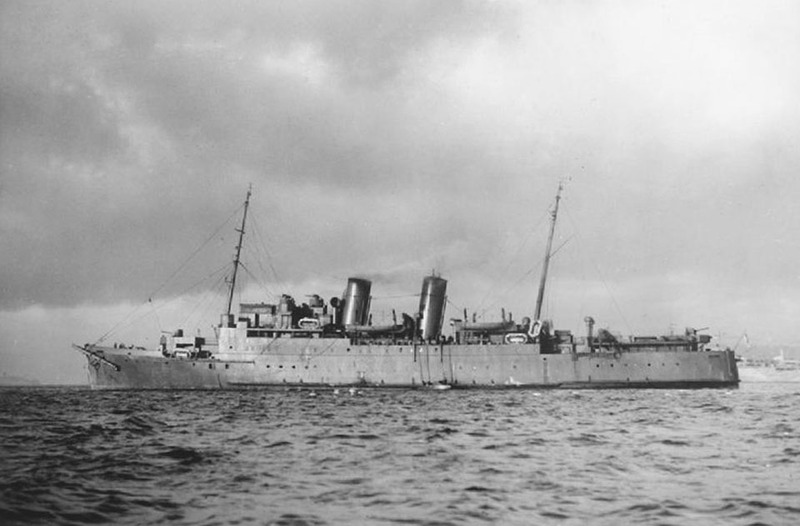 1942 – 1945: Became an anti-aircraft ship. July 1943: Request to convert her to an Infantry Landing Ship rejected. October 1944: Request to release her from service refused. October 1944: Working from Belfast for six months and was the only remaining ship of the Radar Training Flotilla: she was exclusively fitted with surface warning radar. 1945 (Spring): Carrying out training in the Firth of Forth, prior to moving to Portland. December 29th 1945: Arrived at Southampton and “paid off“. 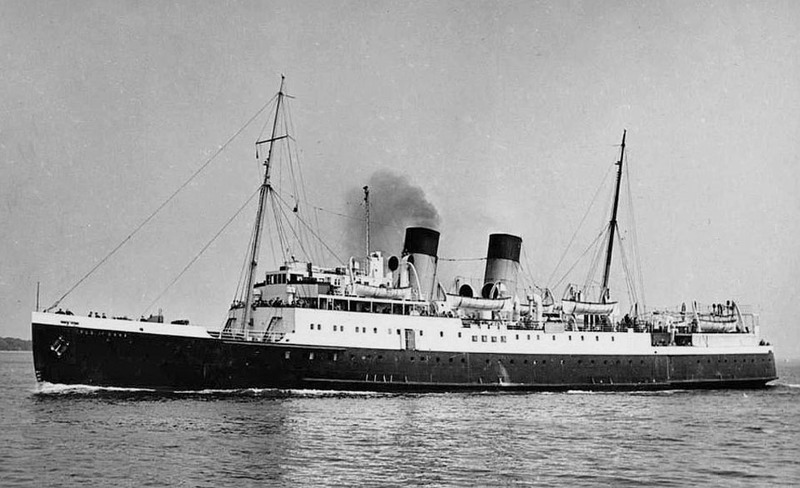 June 24th 1946: After being re-fitted by Thornycroft’s, she re-entered service to the Channel Islands and had the distinction of being the first mail-boat to arrive fitted with radar. 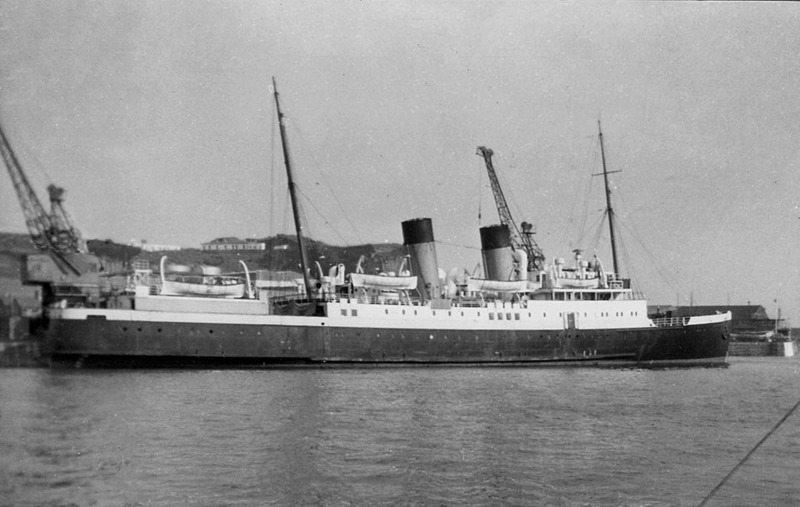 1950 (1st two weeks): Operated the Weymouth – Channel Islands service. 1956 (early): She was improved again. 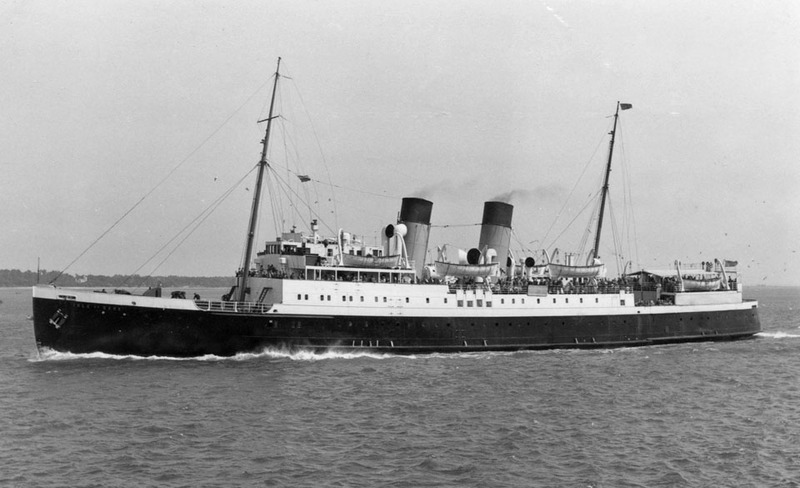 September 1956: Undertook a daylight service between Weymouth – Channel Islands. 1960: In her last year in service she hit the Albert Pier in Jersey, flattening her bows and thereafter pushed a huge bow wave. October 29th 1960: She arrived in the islands at the end of her last voyage. October 29th 1960: Sailed “light” back to Southampton the same day. November 1960: She was withdrawn. March 1961: Sold to Belgian breakers Van Heyghen Freres for breaking. April 7th 1961: Arrived at Ghent and scrapping commenced. All information is believed to be correct and no responsibility is accepted for any errors or omissions. All items included in this article are subject to © copyright. We would like to take this opportunity of thanking: Derek Longly, William MacDonald and Andreas Wörteler for their assistance in producing this feature. 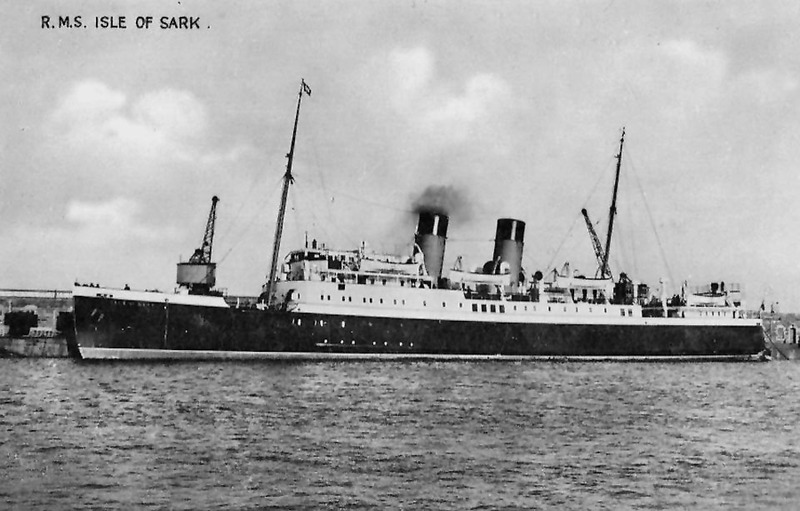 “…At around 19.00hrs 28th June (she was at Guernsey preparing to sail, under cover of darkness, back to Southampton), German aircraft suddenly attacked the harbour, retaliation coming from the ISLE OF SARK’s single 12pdr and four Lewis guns. The low tide meant that the quay gave a degree of shelter from the bomb blasts and she was undamaged”.